Horizontal Detailed HVAC Service Orders 6534 At Print EZ. 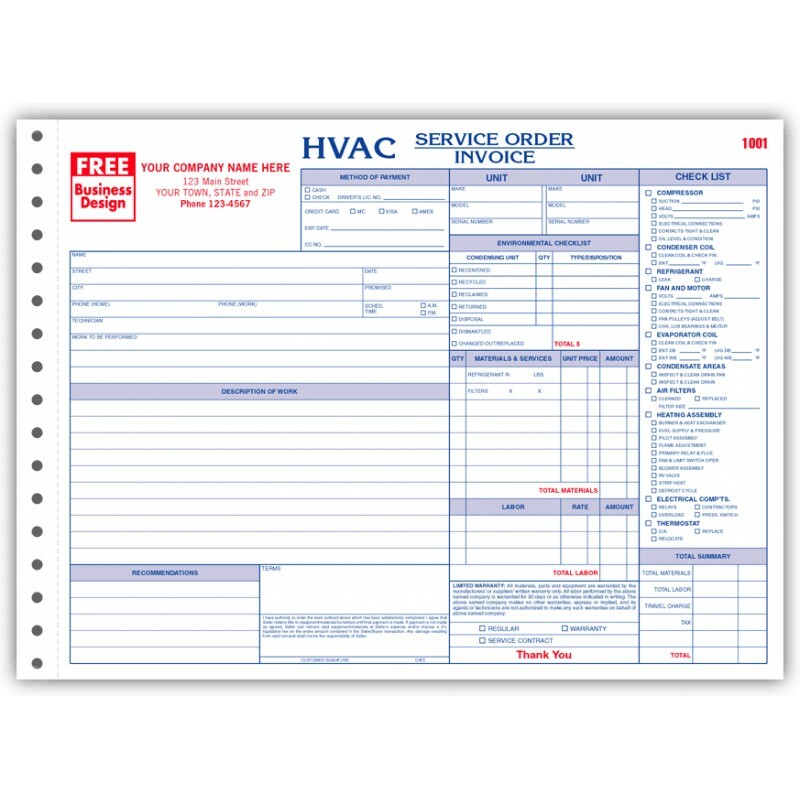 Horizontal Detailed HVAC Service Orders Item No. 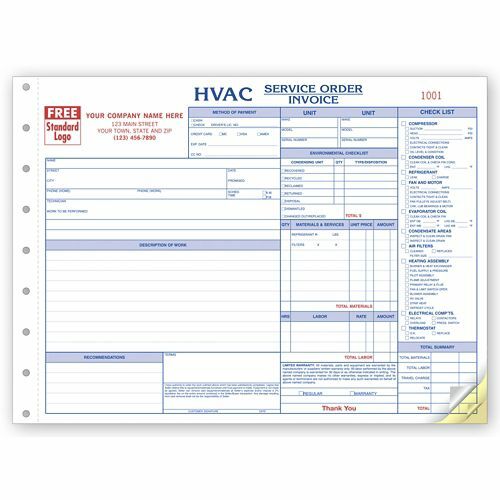 6534 Size: 11" x 8 1/2"
These horizontal detailed HVAC service orders are heaven sent for firms since they help to compile the paper-work and collect all the required information in one go. Not only is there a long checklist that you can fill out in a jiffy, but there are many segments related to the mode of payment, description of work and even material and labor. Will such a detailed and well organized format, the various departments can use it to collect the relevant data at one go. The terms of warranty are also pre-printed on the form, which goes a long way in keeping things clear with the clients and avoiding useless arguments later. I was skeptical adding my logo cause it doesnt give you a preview of what it will look like (highly recommend adding that feature) but they came out perfect anyways and iam very happy with my purchase! Product looked great, exactly what I had expected. Shipped quickly and they're proof came in handy when adjustments were needed.